All products are in Canadian dollars. 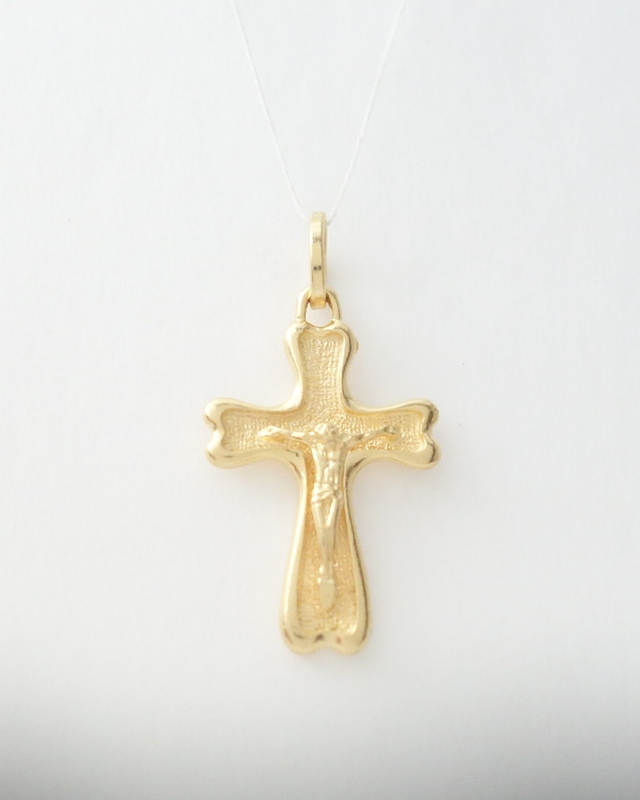 A simple 14k yellow gold cross with Jesus. An intricate design is on the back. Made in Italy. Chain NOT included. All prices are in Canadian dollars. 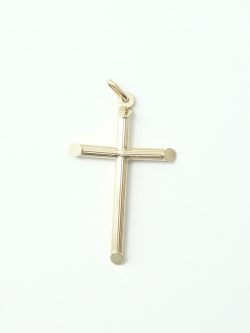 10k cross makes this 17 inch* chain elegant but simple. *all measurements are approximations. All prices are in Canadian dollars. 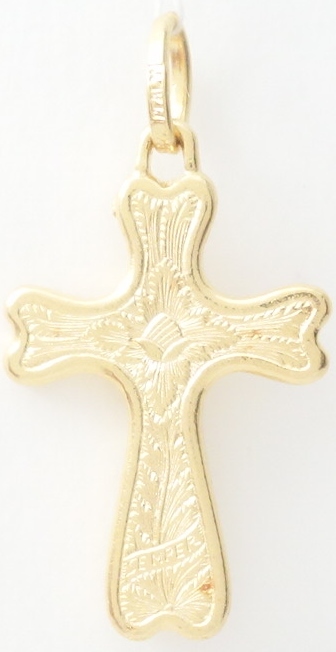 10k baptism medal. Length: 29mm* Width: 19mm* Chain is not included. *all measurements are approximations. All prices are in Canadian dollars. 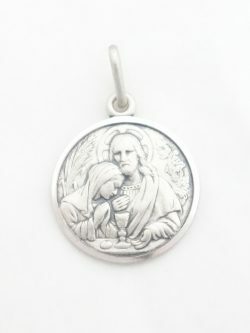 A solid sterling silver first communion medal would be a great gift for any boy or girl as a keepsake for their first communion. The medal was made in Italy. 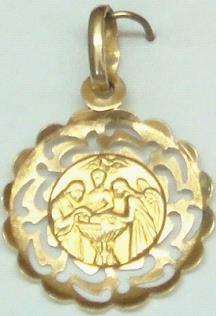 It has "Ricordo Della Prima Communione" on the back which means 'A First Communion Keepsake'. Chain NOT included. Diameter of Medal: 16.5mm* Total Length of Medal: 24mm* *all measurements are approximations. All prices are in Canadian dollars. 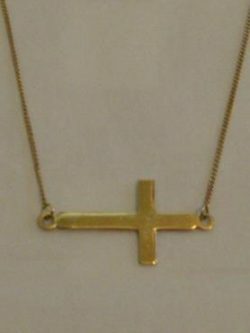 18k cross from Italy. Does not come with a chain. Length: 44mm* Width: 25mm* *all measurements are approximations.